Home » What’s Your Austin Home Design Personality? 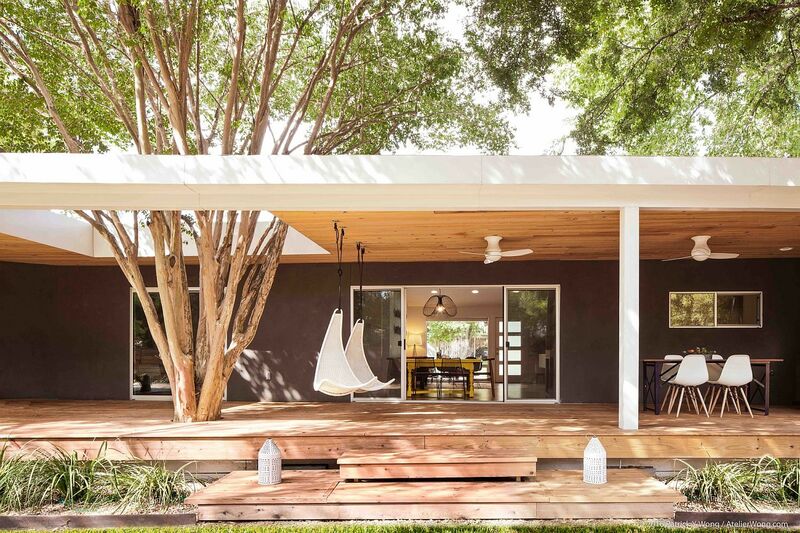 What’s Your Austin Home Design Personality? If Austin is famous for anything, it’s flying in the face of conformity. And the architectural character here is no exception: Austin home builders embrace a huge range of different styles, each designed to meet the unique tastes of our city’s residents. From modern to retro, there’s something here for everyone. So what’s your signature Austin style? Read on to find out! You’re a sucker for a romantic location and have secretly always tried to live your life as if you were Audrey Hepburn in Roman Holiday. To capture your penchant for the passionate, opt for dreamy, Spanish-inspired styles that blend seamlessly into the Hill Country’s regional character. On the exterior, terra cotta tiles, stucco walls, and decorative wrought iron accents add drama to a Spanish-inspired home’s architecture. Inside, ceramic tile, arched doorways, exposed beams, and geometric patterns convey that coveted Castilian style. Keep it modern with clean lines and white walls that will shine a spotlight on more eye-catching features. You crave a minimalist style, where decorative accents have enough room to breathe. Clean lines and low-key style are the rule of thumb in your home, where neutral colors are set off with small pops of color. Shape is the key element for a contemporary home. Here, you’d be likely to find split-level floor plans with both flat and angled roofs, raised terraces, minimalist columns, and other structural features that play with our idea of what a house plan can be. Windows are another signature of the contemporary home. Wide French doors, window walls, and picture windows decorate the interiors with light. These pair well with the open floor plans that are typical in contemporary homes, allowing sunlight to flow freely from the kitchen to the living room and beyond. This is a great style for those who want to make a statement with their home. Even if you’re not from here, you’re from here. If you had your way, you’d wear your cowboy boots all the time. You scoff when someone says they’ve never had migas. Express your love for all things Texas by including some signature Hill Country style in your new home — for instance, native stone facades and rugged natural wood elements, topped off by a seamed metal roof that will gleam in the Lone Star sunshine. Inside, choose cozy leather couches, rustic wood details, and a muted southwestern color palette that will carry the thread indoors. A custom home builder can design a space that merges readily with the rugged Texas landscape, while design specialists can point out flooring, paint, and other choices that will give your home that perfect blend of rustic flair and modern design. You’re drawn to an older Austin, one where well-shaded neighborhoods welcomed cowboys and hippies alike. For you, there’s only one architectural style that matters: the Craftsman. Austin’s original suburbs are lined with these quaint, unassuming homes, making them perhaps the signature architectural style of the city’s older neighborhoods. The perfect blend of modern and antique elements, Craftsman style homes are a great fit for anyone who’s a little bit country and a little bit rock and roll. Fortunately, you don’t have to purchase a Hyde Park original to experience the quiet beauty of these early-century homes. There are many builders in the city, like Paradisa Homes, who construct modern Craftsman style houses, so you can get the look you love with all the convenience of a brand-new custom home. The low-slung ranch house is a staple of California cool; even though Austin is hundreds of miles away from the West Coast, this quintessential architectural style is still very much in vogue here. With its roots in Spanish colonial building, the ranch house fuses readily with our area’s architectural character. The ranch house suits a homeowner who loves vintage style. Breezy, one-story floor plans offer a sheltered refuge from the hot summer sun, while inside, open interiors lend a cozy, welcoming feeling. Embrace the ranch house style with wood paneling, stone fireplaces, mid-century modern furniture, and gentle earth tones that will complement your home’s relaxed, easy architecture. What Will You Choose For Your Austin Home? Now that you know which Austin architectural style is right for you, it’s time to make your dream home a reality. Contact us today to learn how our architects and designers can help you build a one-of-a-kind space — the kind of place you’ll be proud to call home.